Breaking News – Yamaha Reface Finally Revealed? In our never-ending efforts to bring you all the latest gear news, I have taken it upon myself to scour the web looking for more information on the new Yamaha Reface instrument, recently teased in a series of YouTube video clips. The latest information I have slightly contradicts previous reports that this is four instrument engines in one with a possible morphing feature. An image found late on Saturday evening seems to reveal Reface is in fact four individual instruments in a series, rather than just one. Reface CS – Analogue synth emulation – could be a CS80 clone. Reface DX – FM digital synth emulation – could be a DX7 clone. 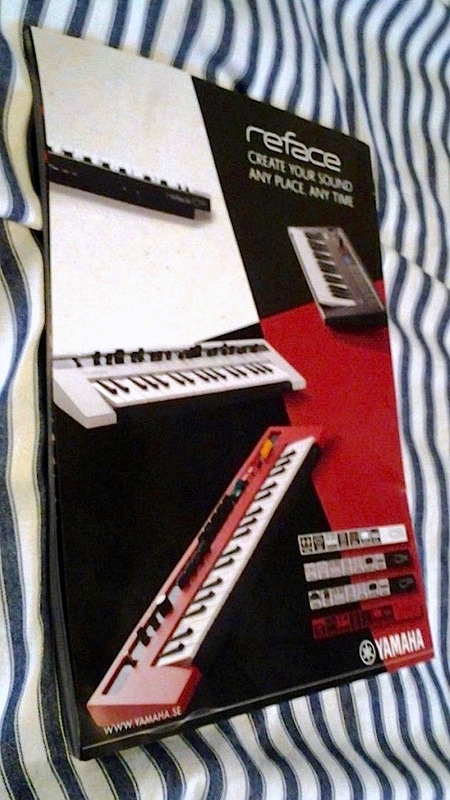 Reface CP – Piano keyboard emulation – could be a CP70 clone. Reface YC – Organ keyboard emulation – could be a YC20 clone.